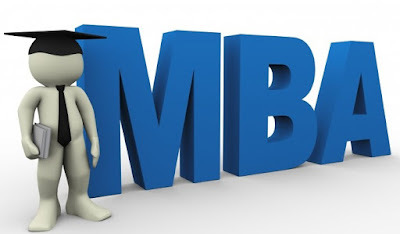 CAT (Common Admission Test) is the ultimate dream of every MBA aspirant. CAT is prime examination which is conducted at national level and acts as a gateway for entry into the top MBA colleges in the country. It is conducted on a rotational basis by IIMs (Indian Institute of Management). CAT has a success ratio of 0.016 which means that every year only 0.016 per 100 students get selected in IIMs. Around 2 lack students give this exam every year. Apart from IIMs, other top MBA institutions like FMS (Faculty of Management Studies), MDI (Management Development Institute) also take students on CAT score. CAT gives result in percentiles and the Institutions also give out their cut-offs in terms of percentiles. Percentile is the percentage of students who have scored less than you. Cut-Offs for general category students go to as high as 98 or 99 percentile for a well-reputed institution. CAT is famous for its changing pattern of examination. After every two to three years, the conducting IIM changes the pattern of examination. Aspirants from every possible field give CAT. Field of aspirants giving CAT can be Political Science or B.Tech. So to create an equal platform and not give aspirants from any particular field an unfair advantage, CAT judges aspirants on three parameters which are Logical Reasoning (and Data Interpretation), Language Comprehension (and Verbal Ability) and Quantitative Aptitude. CAT has 100 questions, 34 from Language Comprehension, 32 from Logical Reasoning and 34 from Quantitative Aptitude. Overall the paper has 75 questions that are multi-choice and 25 questions that don't have any choice in answers. The Exam is of three hours and allotted time for every section is three hours. For every correct answer, the students are awarded three marks for every correct answer and one mark is deducted for every wrong answer. There is no negative marking in questions with no answer options. The exam is conducted in online mode only and to help students with getting used to the computer based exam, CAT will enable a mock page on its site which will have mock tests which students can give at home also. The exam notification is usually out by August and the registrations for the CAT 2018 exam also began in August. The registration period ends in September. Admit Cards are generally issued in October and the exam is conducted in late November or early December. Results are out by January after which the process of submitting applications and interviews in Institutions based on their cut-offs begin. Last Update May 26,2018.